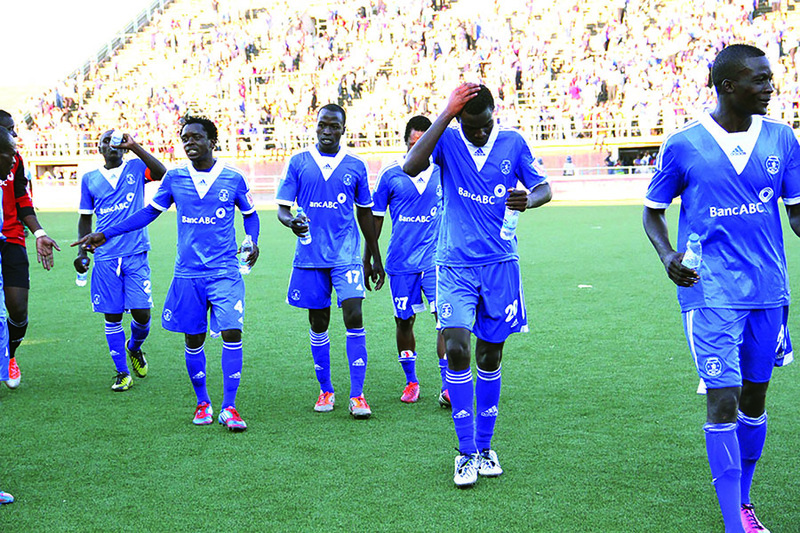 TWO Premiership soccer clubs - Dynamos and Ngezi Platinum Stars - could lose most of their players this pre-season. The pair had contrasting fortunes in the just-ended 2018 season with DeMbare surviving relegation by the skin of their teeth while the Mhondoro team finished the season as runners-up to winners FC Platinum. Both clubs had turbulent relationships with their coaches as they got desperate to achieve set targets. Dynamos axed coach Lloyd Mutasa whom they replaced with junior development gaffer Lloyd Chigowe with the Harare giants deep in the relegation zone towards the end of the season. Chigowe guided the Glamour Boys to safety and has since been rewarded for the feat with a substantive role at the former champions. But his short stint with the team was not without turmoil as players often rebelled over unpaid salaries and bonuses. The strikes led to the suspension of the quartet of captain Marshal Machazane, Kingstone Nkhatha, Peace Makaha and Obey Mwerahari for allegedly leading the rebellions. Chigowe was even quoted as saying the team needed a complete overhaul to restore what he termed the Dynamos culture. But the utterances by the DeMbare gaffer seem to have infuriated most of the players who no longer feel secure and are now job-hunting. The suspended players have since declared that they won't be playing under Chigowe's mentorship after he allegedly recommended their ban. Chigowe's choice of his assistant Murape Murape is also a cause for disgruntlement among the players who have always accused the 2007 Soccer Star of the Year of being temperamental. Just two weeks after the suspension of the other four players, Murape clashed with stand-in captain Blessing Moyo with a fight coming very close to ensuing. Moyo, who is only one of the few players who were consistent for the misfiring giants, is said to be on his way out as he feels uncomfortable working with a technical team of a violent disposition. Another of the versatile players, Godfrey Mukambi, has not guaranteed his stay at the Glamour Boys. The former Tsholotsho defender says he would rather change profession than remain at Dynamos as he accuses the latter for failure to honour promises. Mukambi hinted that if a good offer comes through, he will take it. His contract with DeMbare comes to an end in June 2019. "I would rather go back to hustle in the streets than concentrate on Dynamos who are not honouring their promises. I have a family to feed and it doesn't help me when I just play for them without getting anything. I love Dynamos. I respect the supporters as they also respect me but it's about life and livelihood," said Mukambi. Emmanuel Mandiranga, Jimmy Tigere, James Marufu, Phakamani Dube as well as Kudakwashe Kumwala are also some of the players understood to be on their way out of the Glamour Boys. In fact, right winger Mandiranga (22), who is now a free agent, hinted at the weekend that there's no way he was going to play for Dynamos again and was looking at plying his trade outside the country if an opportunity arises. It's the same story at Ngezi Platinum Stars who last week appointed ex-Highlanders' coach Dutchman Erol Akbay on a two-year contract. The team's decision to fire Ndiraya with five games before the end of the season was shocking to both their fans and players alike. The bulk of the players at the platinum miners were brought by Ndiraya. The former Dynamos midfielder was sacked as the executive felt he had fallen too far behind FC Platinum. He had been tasked to win the league title. Yet they started the season like a house on fire but their wheels came off along the way and Ndiraya was sacrificed despite being in a position which was good enough to win the league title. Assistant coach Clifton Kadurira took over the team on an interim basis but did not succeed to topple FC Platinum as was expected. With Akbay taking over, the Dutchman is expected to bring some of the players he worked with at Highlanders. Ngezi captain Liberty Chakoroma and midfielder Tichaona Mabvura, whose contracts expire at the end of this year, are reported to be on their way to newly-promoted home town team Manica Diamonds. The pair confirmed the Luke Masomere-coached side made contact with them but they are yet to decide. Chakoroma said: "My contract with Ngezi Platinum Stars expires at the end of this year. Manica Diamonds made contact with me and I am still weighing the options. That's the same issue with Mabvura, so I understand but contact him." Walter Mukanga, Clive Agusto and Xolisani Moyo are all understood to be on their way out of the Baobab. Ngezi chairman Jeremiah Gasitene said he wasn't aware of the players' imminent exodus. He said the team is retaining all the players the coach would like to work with. "What I can say at the moment is that all those players whose contracts expire at the end of the season are being talked to by the club. Basically we are retaining all of our players. There is no such thing as exodus at the team," said Gasitene.